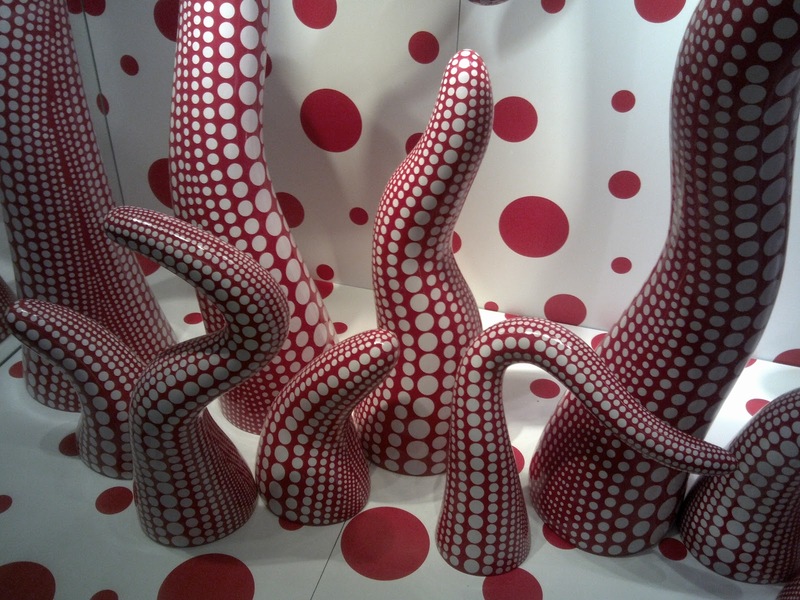 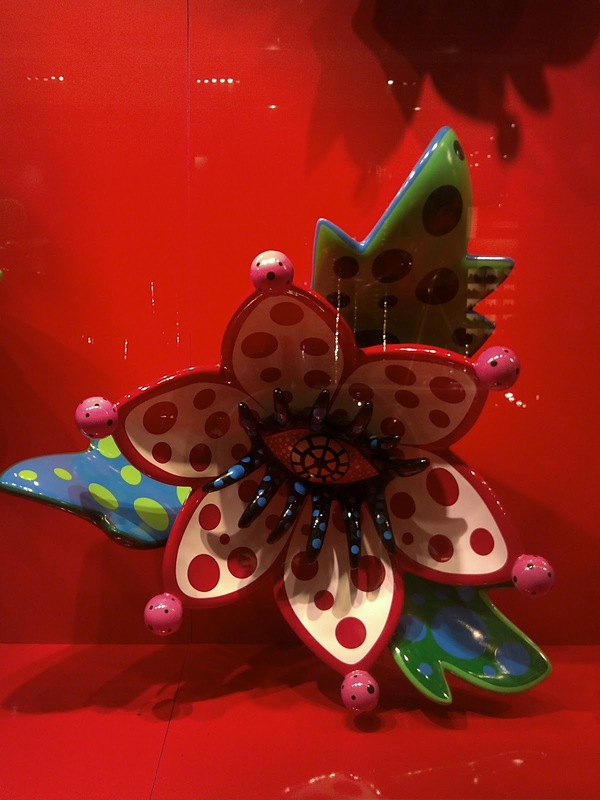 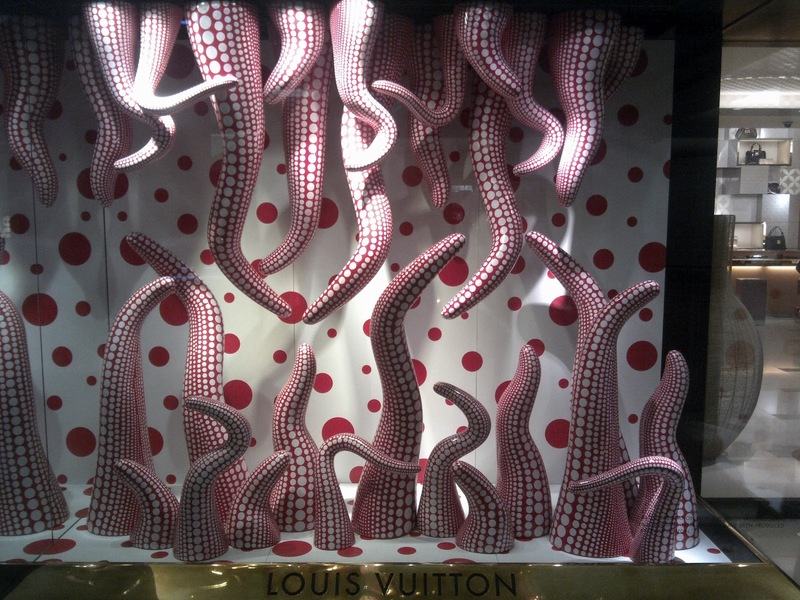 This year Louis Vuitton announces and launches its latest collaboration with artist that is Yayoi Kusama. She is a Japanese artist who is famous with polkadot patterns in everything she creates. 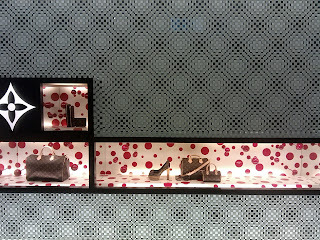 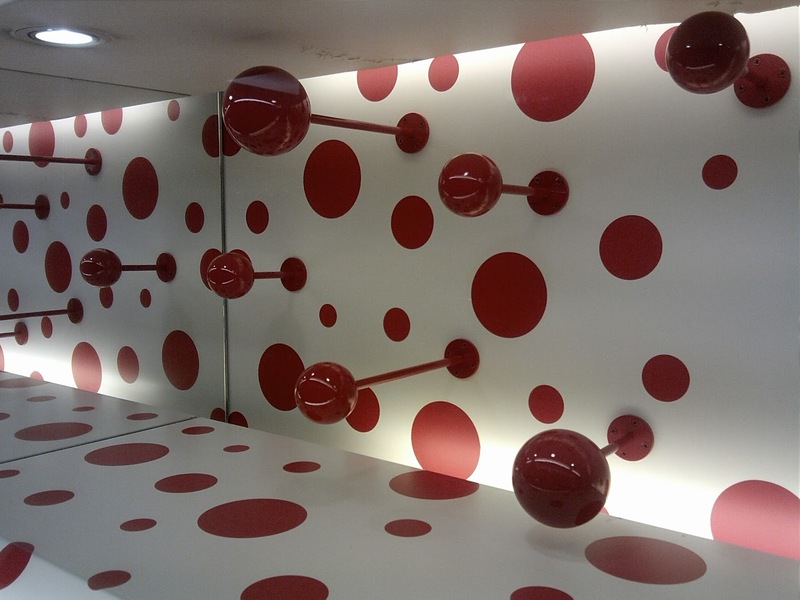 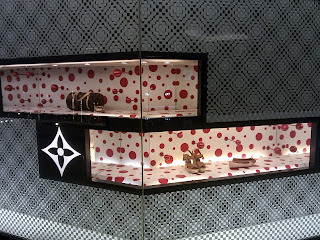 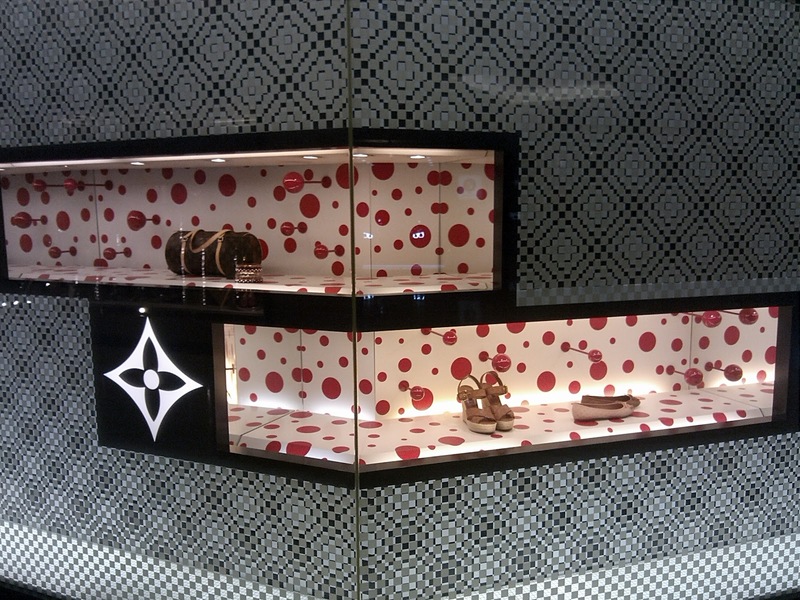 Thus, each Louis Vuitton window display everywhere in the world gets her touch of dot. 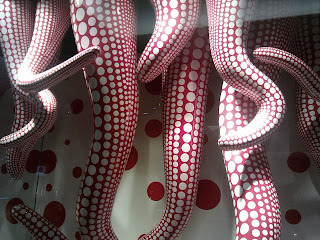 There are giant and not-pleasing-for-the-eyes tentacles all in white and red colors. 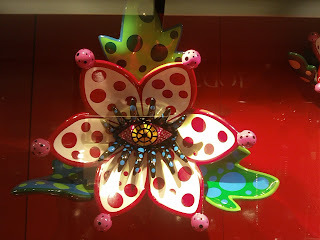 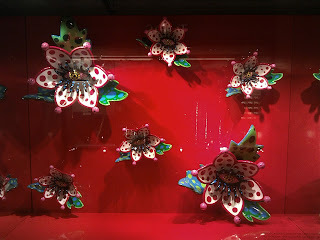 Other window is decorated with flowers that have eye in each bud. 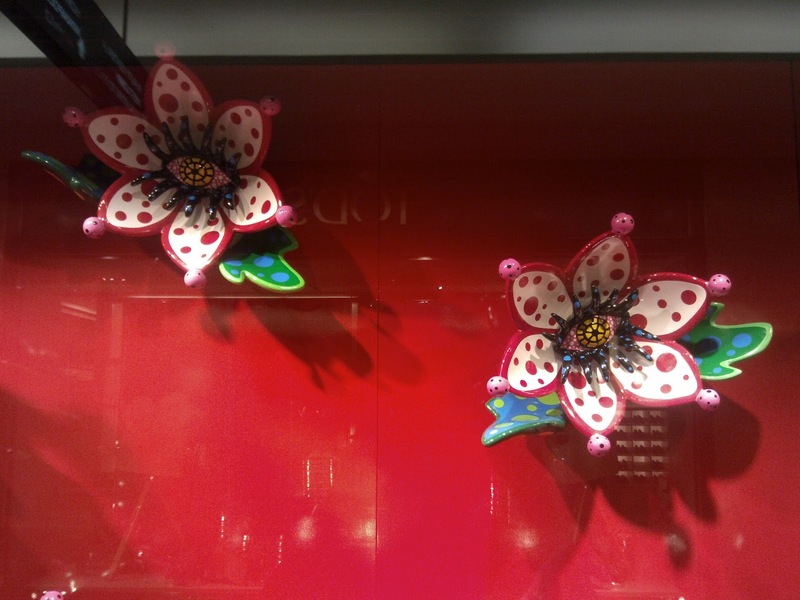 The dots also appear at the side window display that is usually used to show the accessories collection.